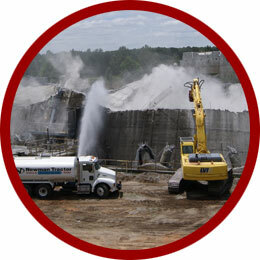 About : American Demolition and Nuclear Decommissioning Inc.
ADND also performs large scale demolition and Brownfield development projects for both public and private clients. To date, approximately ten nuclear power plants have been either decommissioned, or are undergoing active decommissioning. ADND personnel have worked at eight of those ten facilities. 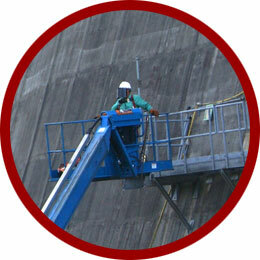 The ADND Management Team has more diversed decommissioning experience under one roof than any other firm in the industry. American DND’s focus and specialty is in providing infrastructure support and demolition activities to both contractors and owners performing decommissioning projects. The experience obtained by ADND personnel from successfully performing past demolition projects has provided vast ‘Lessons Learned’ data that can be built upon for new clients who are about to embark on their own decommissioning activities. The highest potential for success on any D&D project is when the owner includes experienced demolition personnel in the early planning stages to help lay the foundation for a safe and successful decommissioning plan. The foundation of a decommissioning plan begins with solid groundwork for both tangible functions and intangible behavioral aspects. ADND personnel augment the staff and facilitate both the tangible and intangible functions by helping the Client manage the constant change that will be encountered on a day-to-day basis as they proceed down the decommissioning path. ADND can function either as a mentor to facilitate the change or can also perform both the tangible and intangible aspects if necessary and beneficial to the Client. The assets, technologies, skills, and behavior necessary to operate a nuclear plant are far different from the talents, means & methods, equipment, and focus necessary to safely demolish the same nuclear plant. Despite the vast differences, there are many constants between the two aspects. 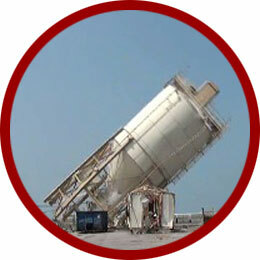 American DND helps clients by “bridging the gap” from an operating facility to full scale demolition operations. Our personnel are schooled demolition professionals who have successfully made the transition and share those past experiences with new facilities/owners/ clients. The American DND Team of Professionals is a group of people with a ‘can do’ attitude and whose mission is to get the job done in a Safe, Regulatory Compliant, and Environmentally friendly, professional manner. Our standards of Safety is Value #1 and commitment to the Client’s culture and sensitivities are all attributes that contribute to the success of a Client’s decommissioning project. The benefits of American DND Professionals is they have vast experience in where the “rubber meets the road”. It’s not just good enough to have nicely written plans that look good on paper, they need to be written in a manner so the Craft and Staff Personnel understand them, and most importantly are able to buy into them for successful implementation at the field level. This happens by empowering the Craft/Staff and involving them in the planning stages of the project, and continuing throughout the day to day performance of the project. When the American DND group of companies is involved on a project, it’s no accident that the project will be performed Safely and Compliantly.